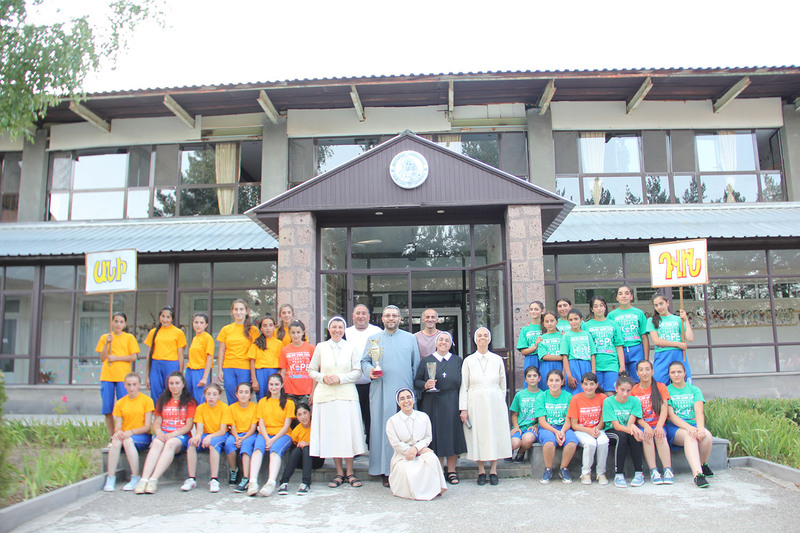 The Armenian Sisters of the Immaculate Conception settled in Armenia following the earthquake of 1988. 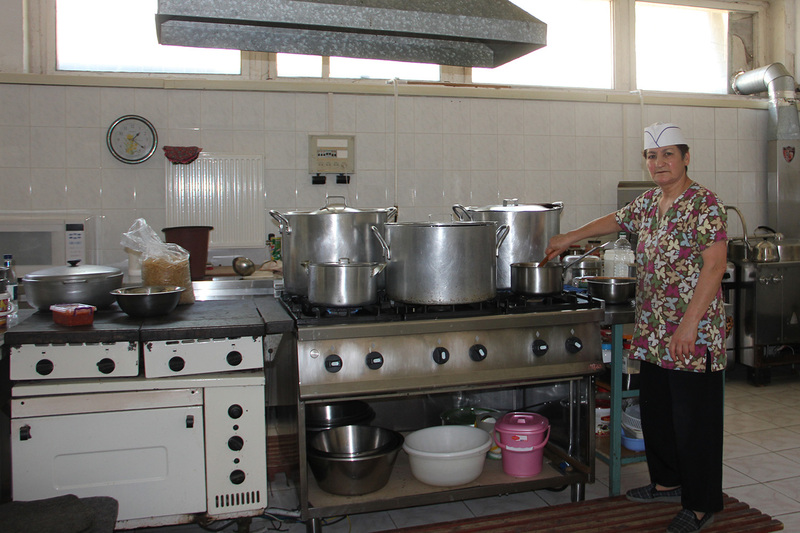 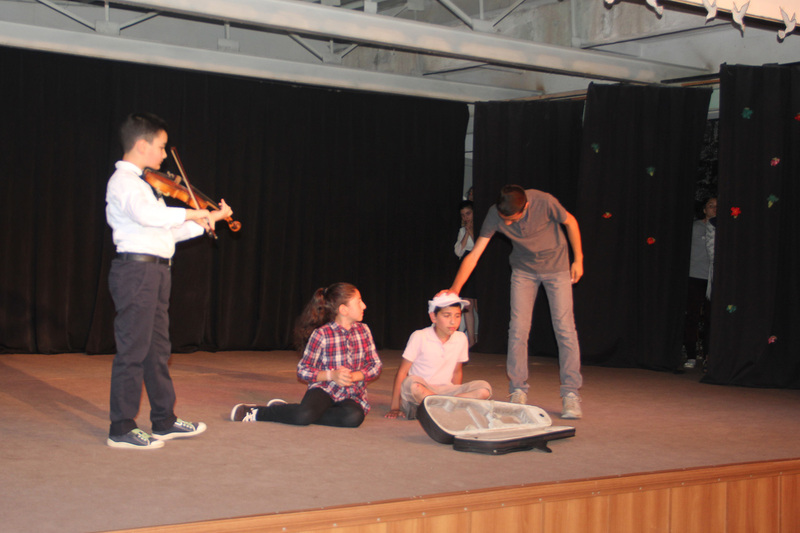 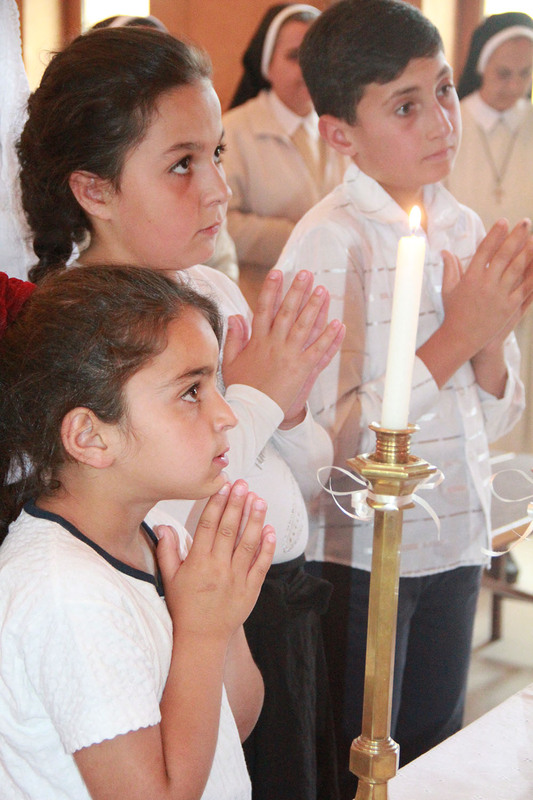 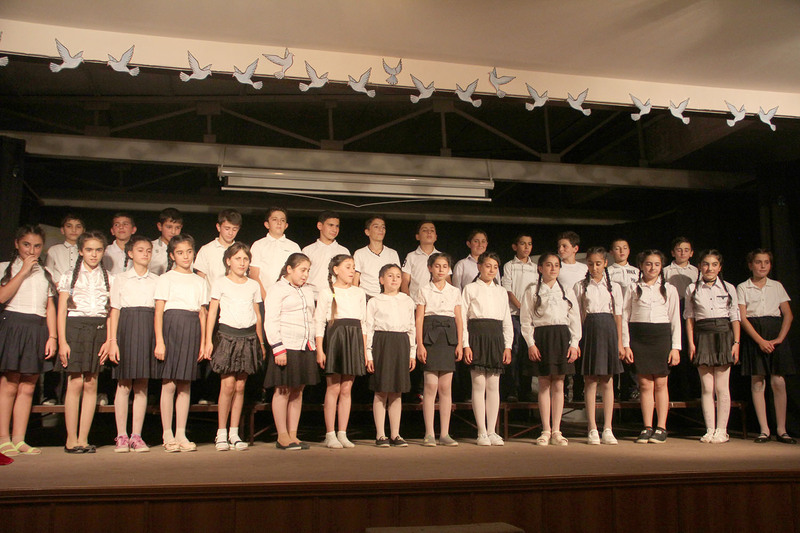 Their mission started at the psychological center in Spitak, the epicenter of the earthquake. 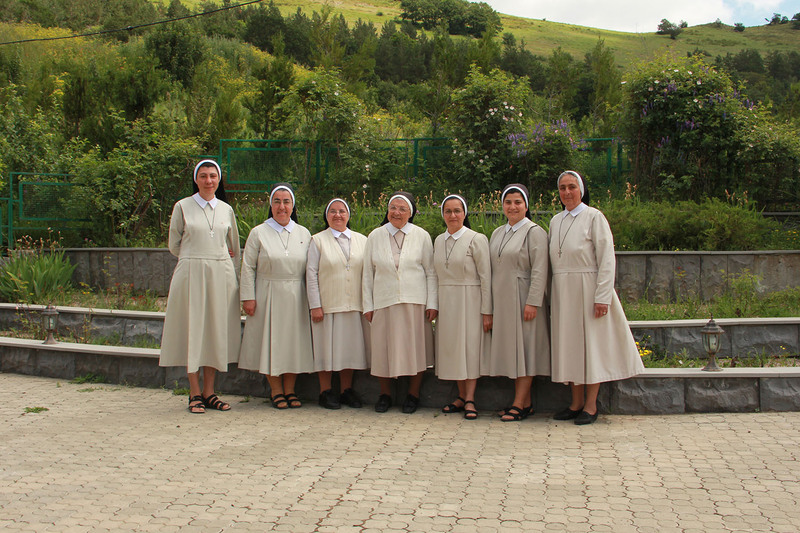 In 1992, they were asked to teach religion in the public schools of three catholic villages, Arevik, Panik and Lantchig. 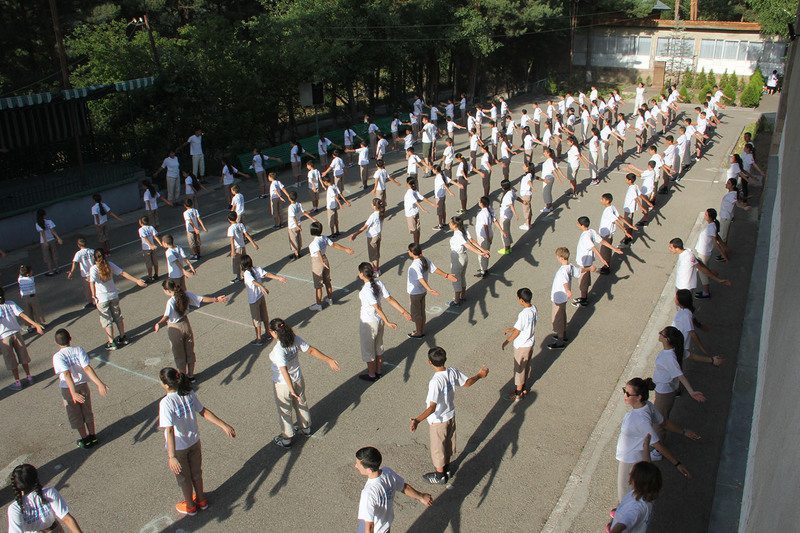 Quickly, they witnessed many of their students fainting during class. 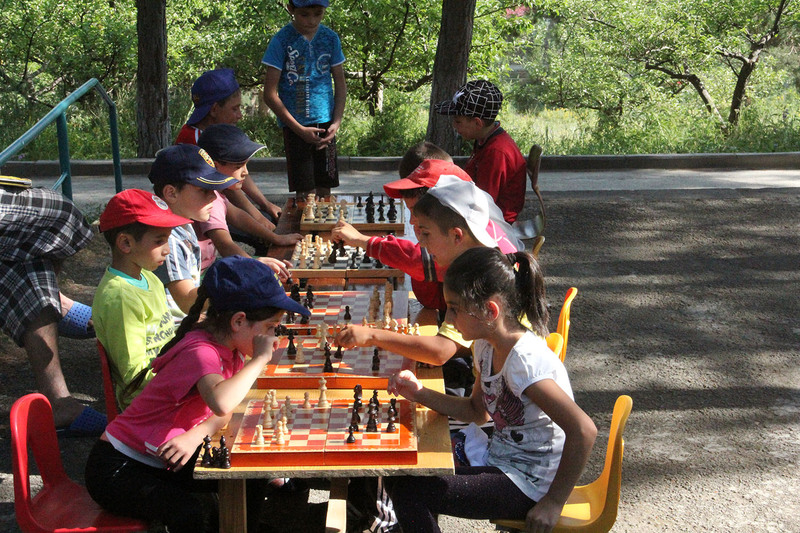 The explanation was simple: those children had had nothing since the day before. 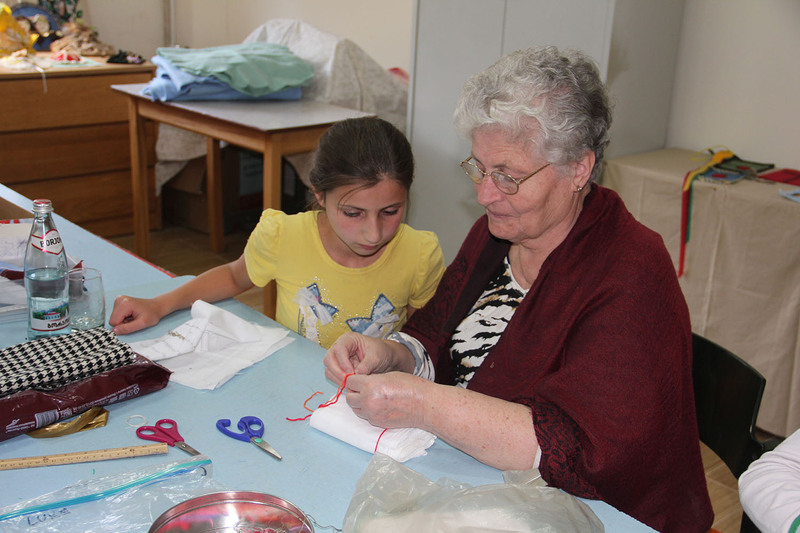 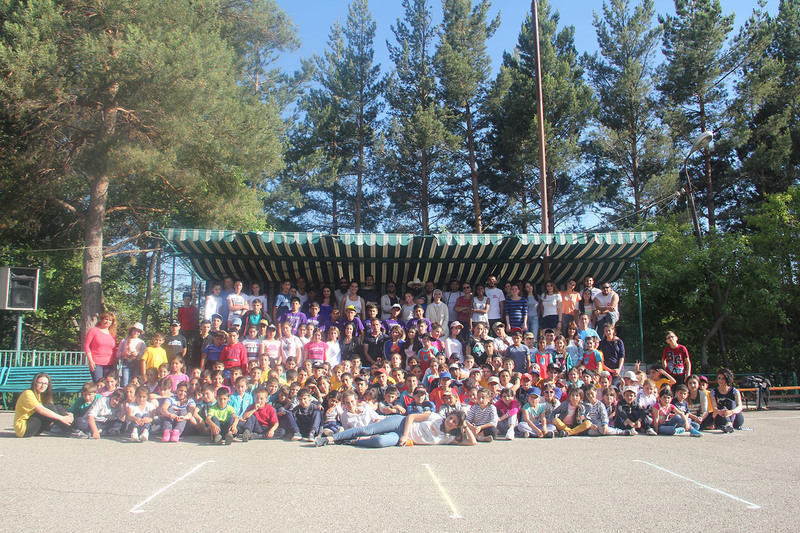 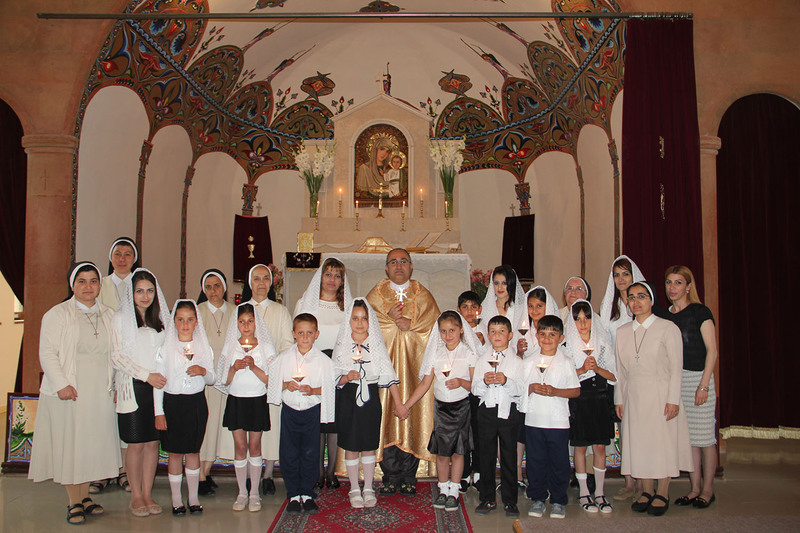 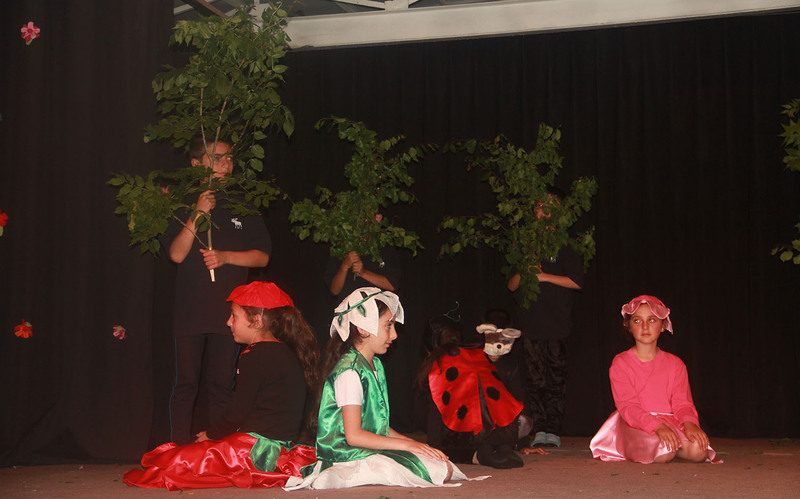 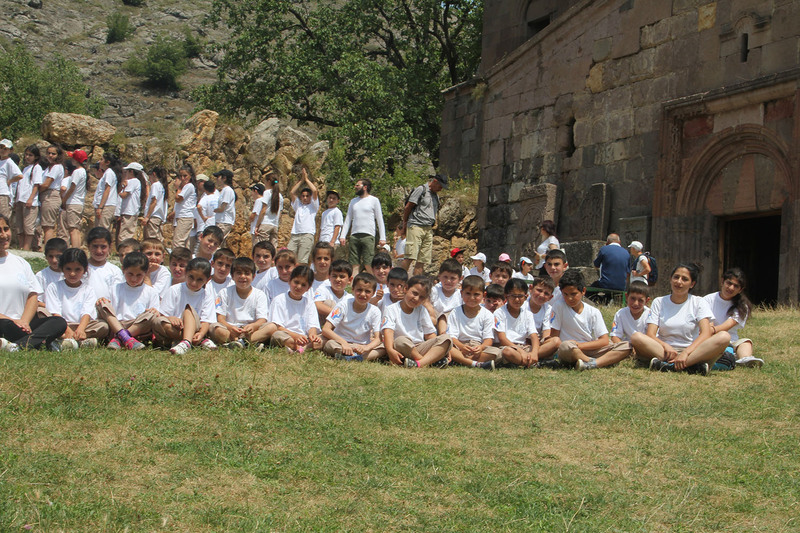 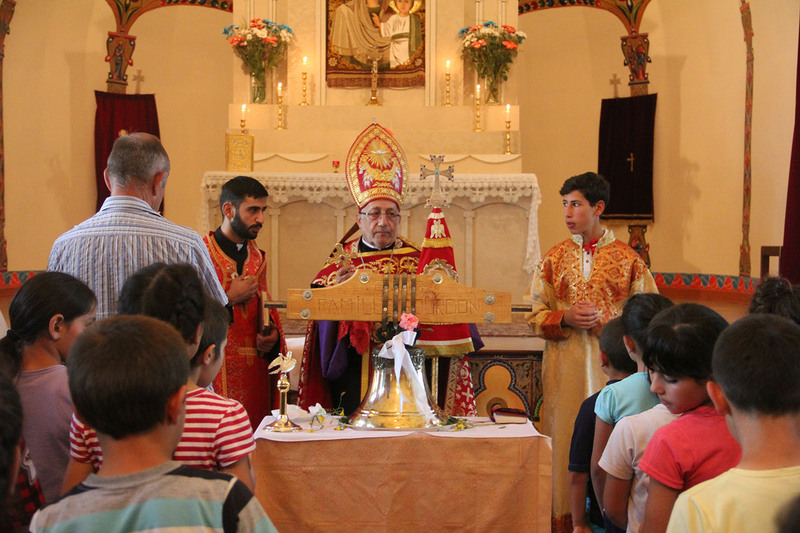 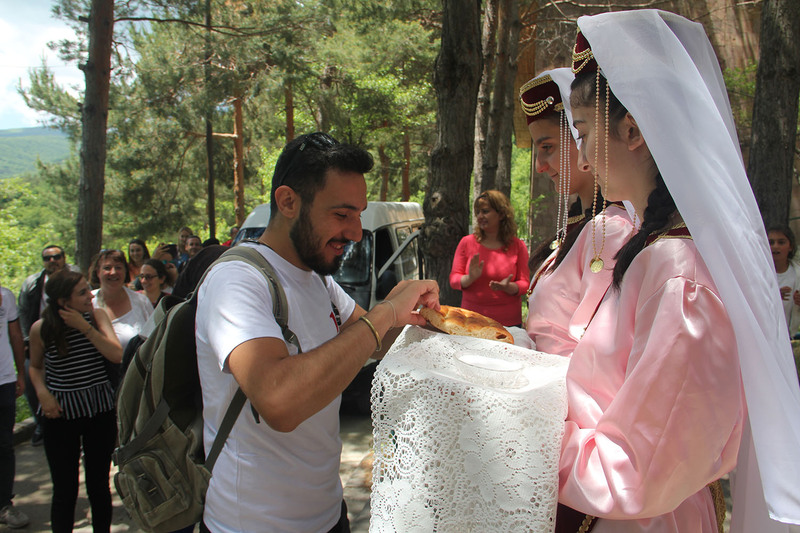 The first summer camp took place in 1994 in Hankavan and welcomed 150 children from the catholic villages for a month. 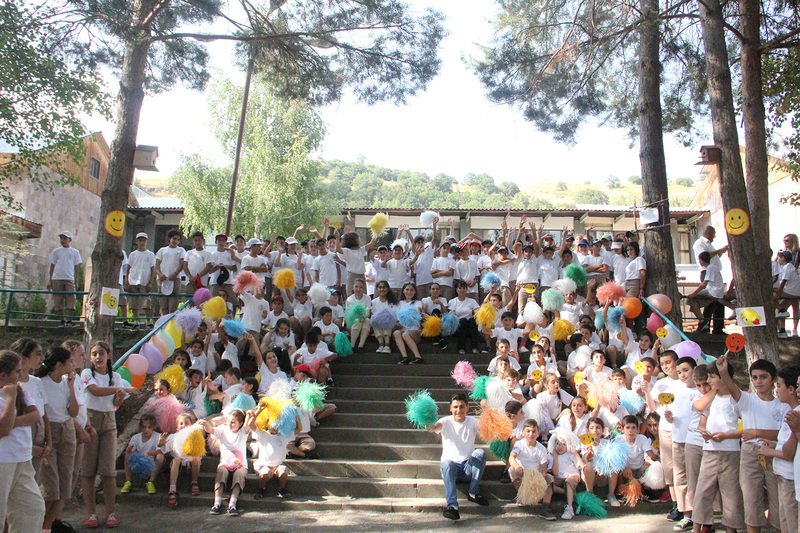 As the years went by, the number of children welcomed grew, reaching about 600 children in 1997 and 910 in 2017. 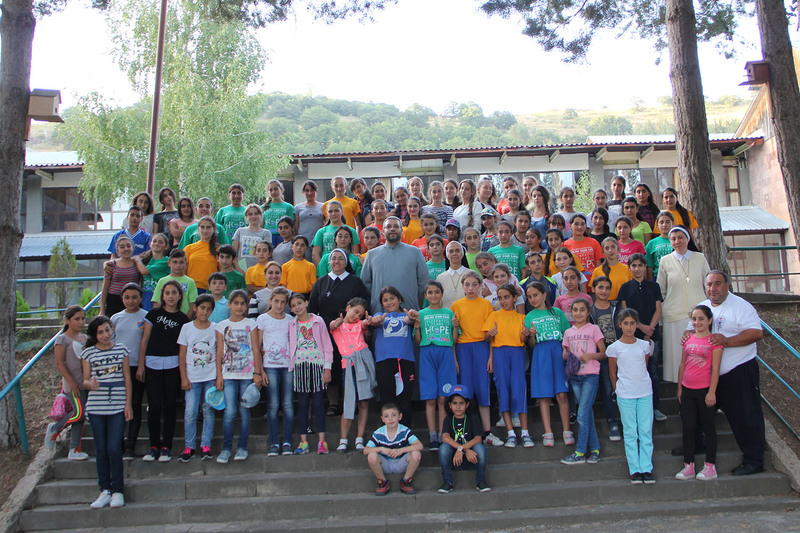 This quick rise led to some changes: the establishment in Tsaghkadzor in 1997 thanks to the generosity of Fondation Alliance Arménienne and the reduction of the length of the camp sessions, from three weeks to 16 days in 2014. 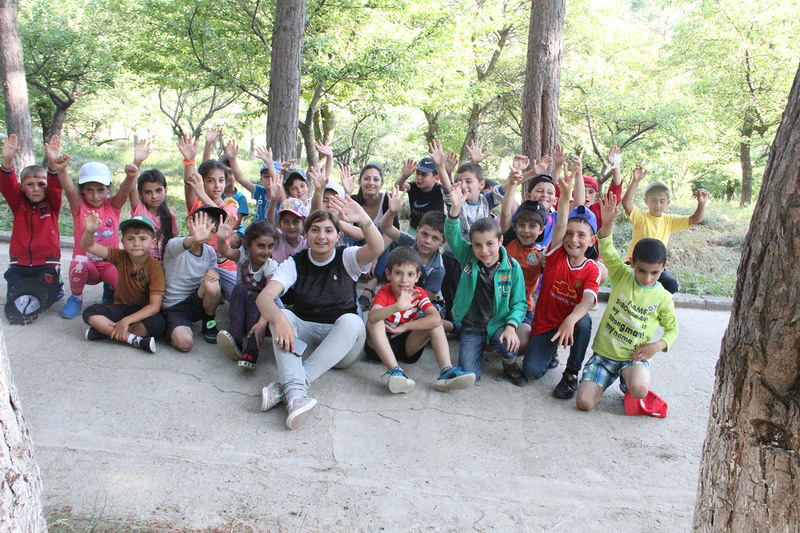 The overall goal of the Camp is to provide children with nutritious food, develop in children creative and aesthetic abilities through art, strengthen their physical abilities through sports and games, etc. 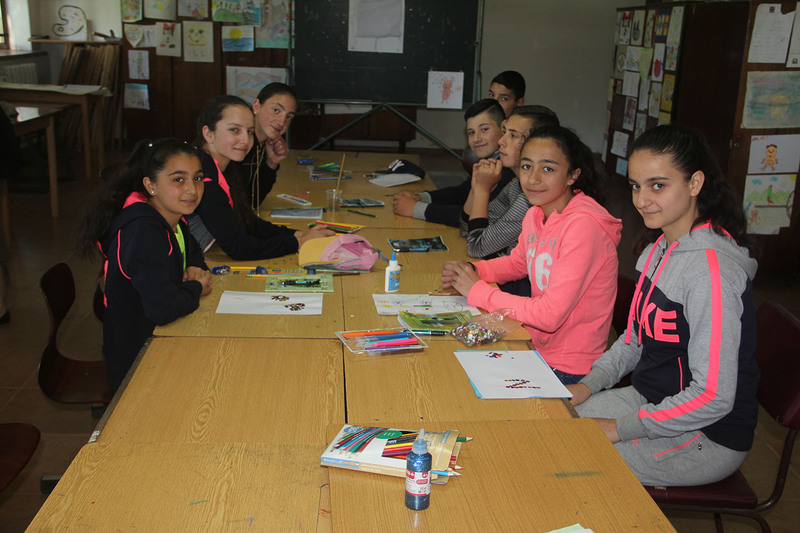 Bible study discussions and daily devotions help bring the Word of God into the hearts of the children, who forgetting their fears, can enjoy happy and playful times with their peers. 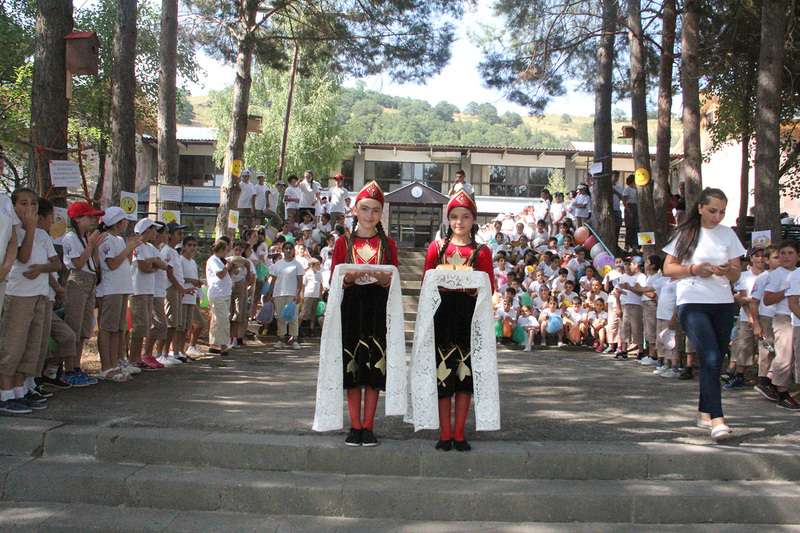 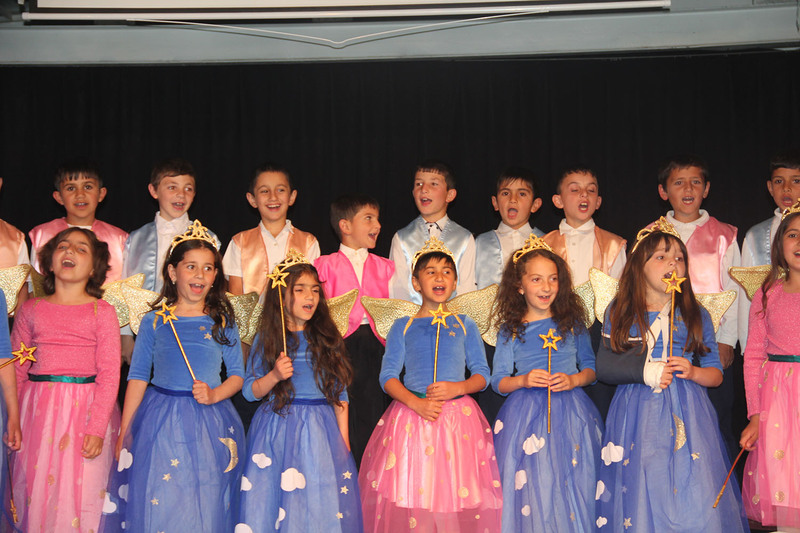 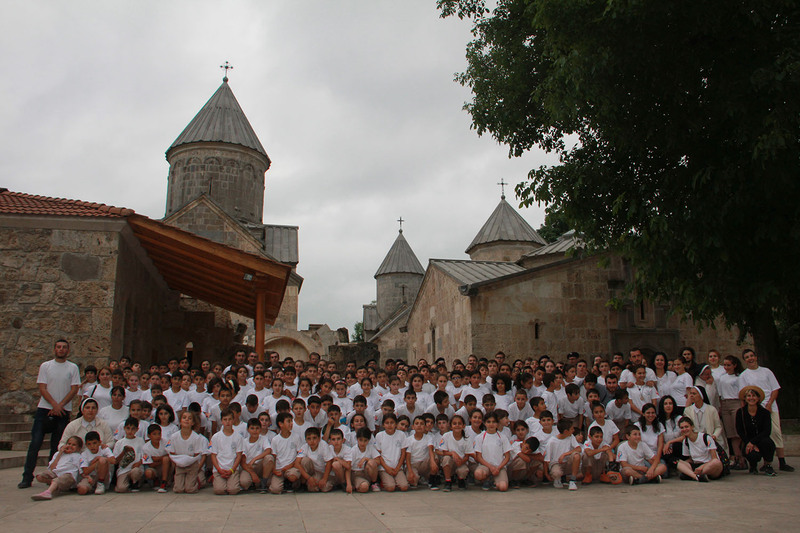 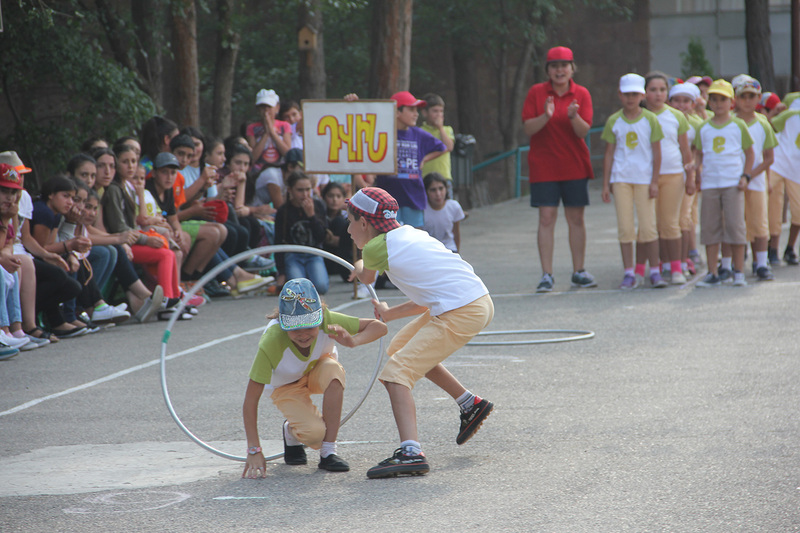 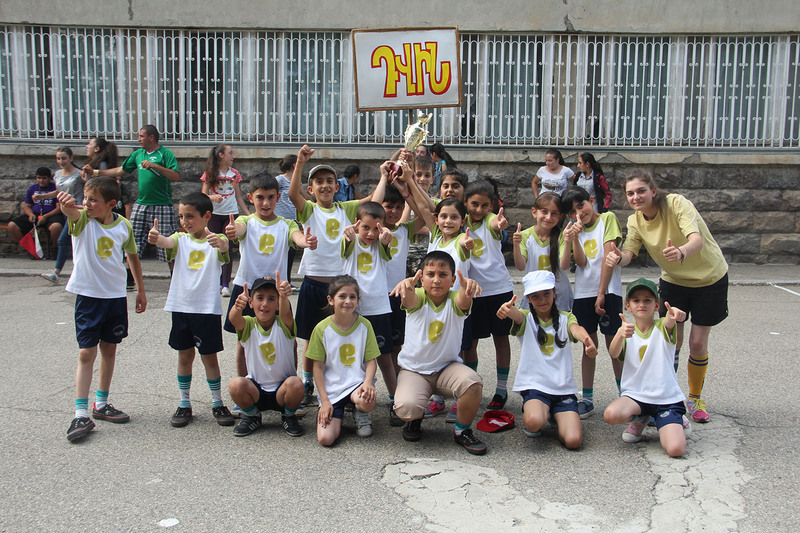 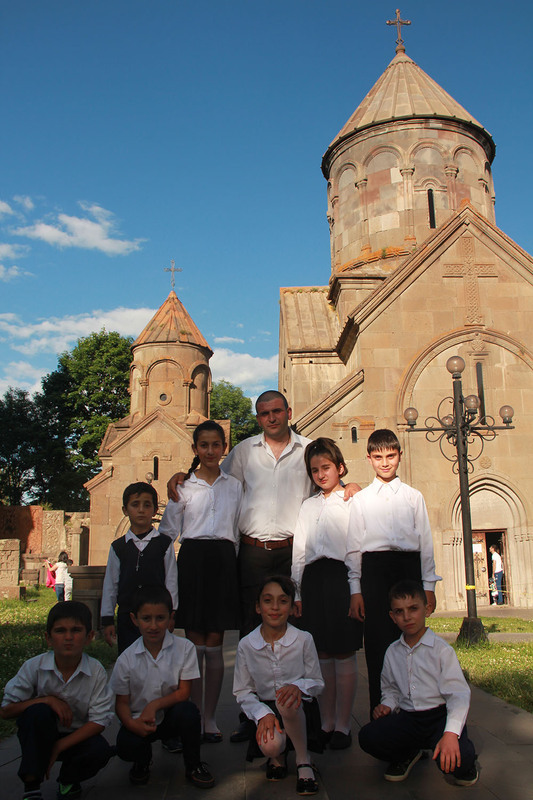 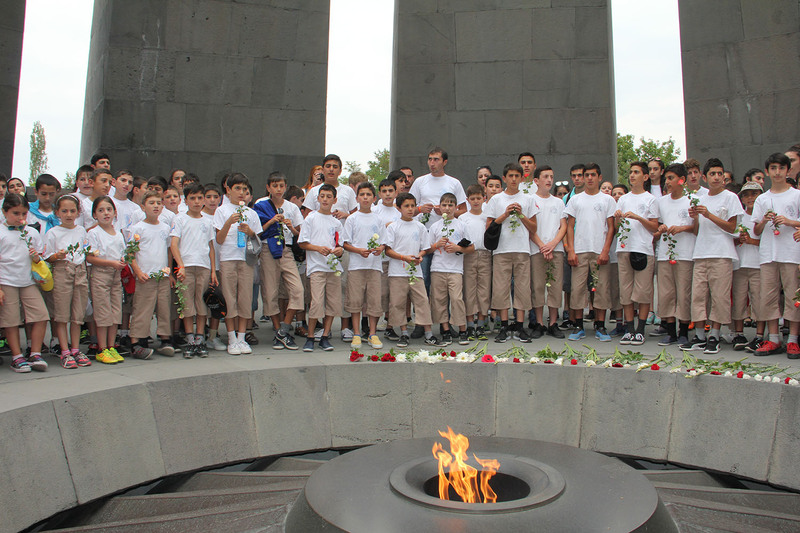 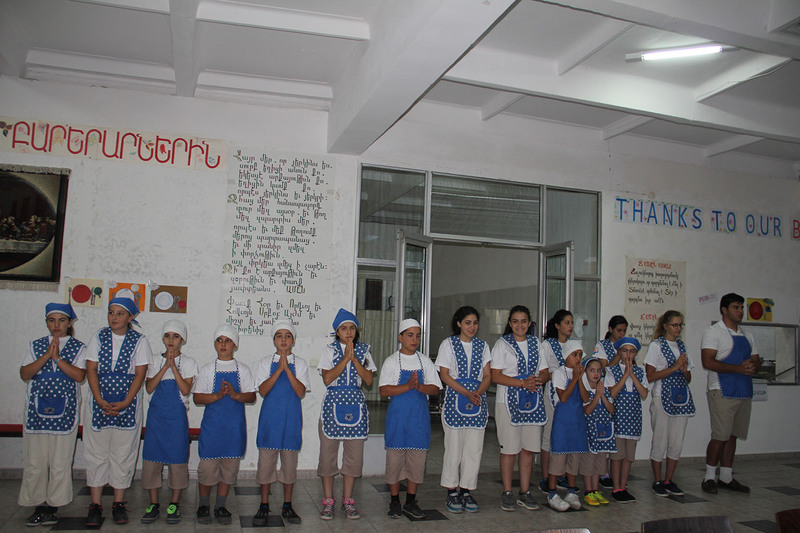 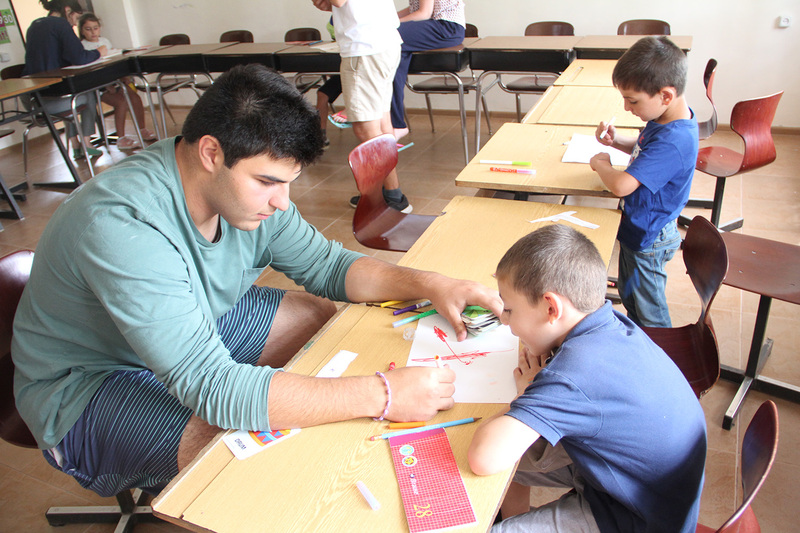 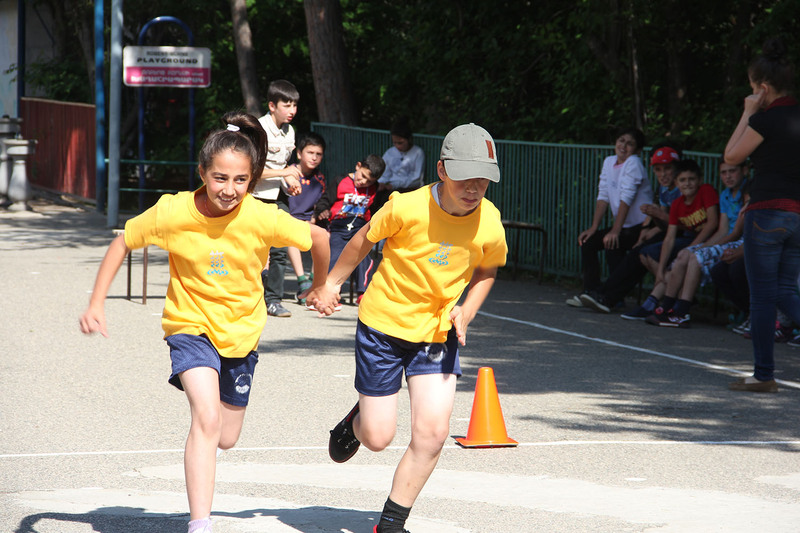 Each summer the camp serves some 850 very disadvantaged children from different parts of Armenia, especially the northern earthquake zones, and Southern Georgia. 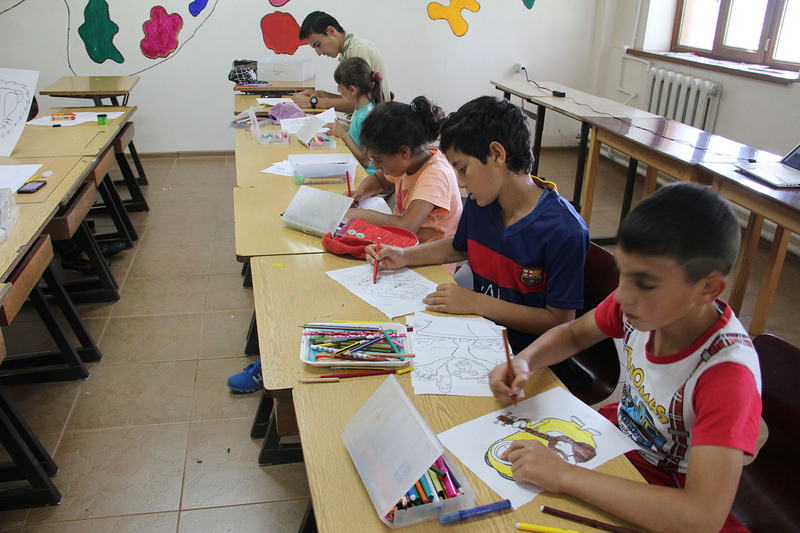 Each child stays at the camp for a period of 16 days and is provided not only nutritious meals, but also a rich educational program, which includes religion, languages, singing, dancing, embroidery, arts and crafts and computers science. 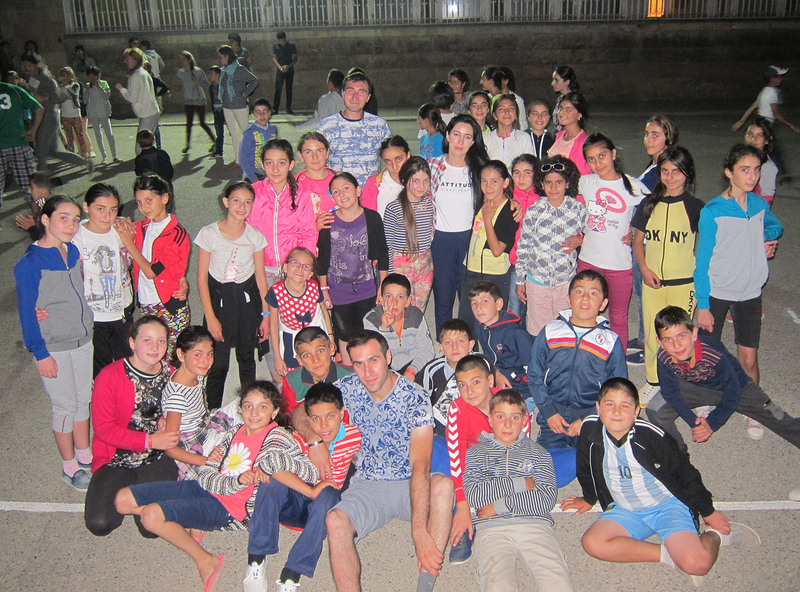 The Summer Camp welcomes children living in state orphanages and boarding schools, children from centers working with street children, orphans living with one of their relatives, children from large families and/or children from the border regions. 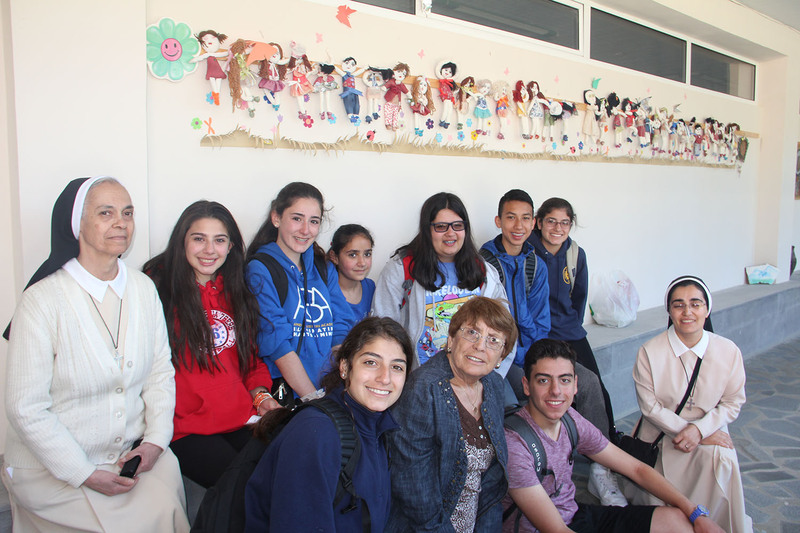 They are chosen by the directors of the orphanages and boarding schools, by visits to families done by the Sisters and social workers, by mayors and priests of some villages or by the Ministry for Social Affairs. 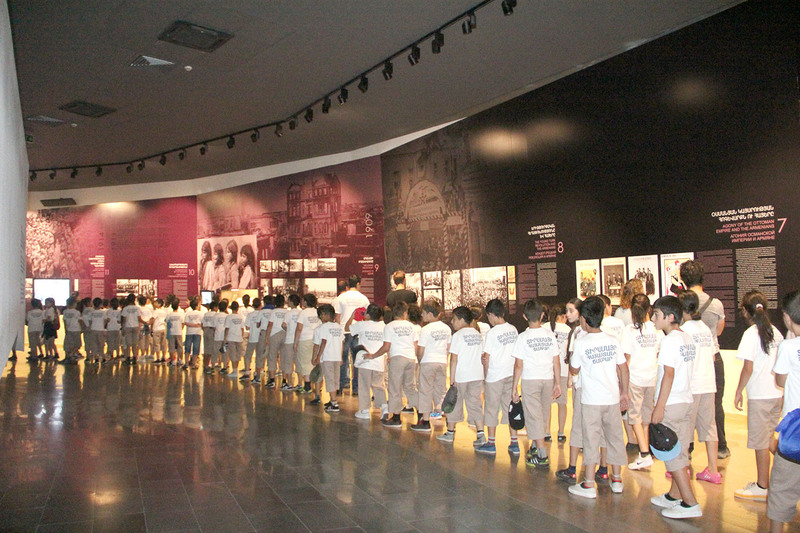 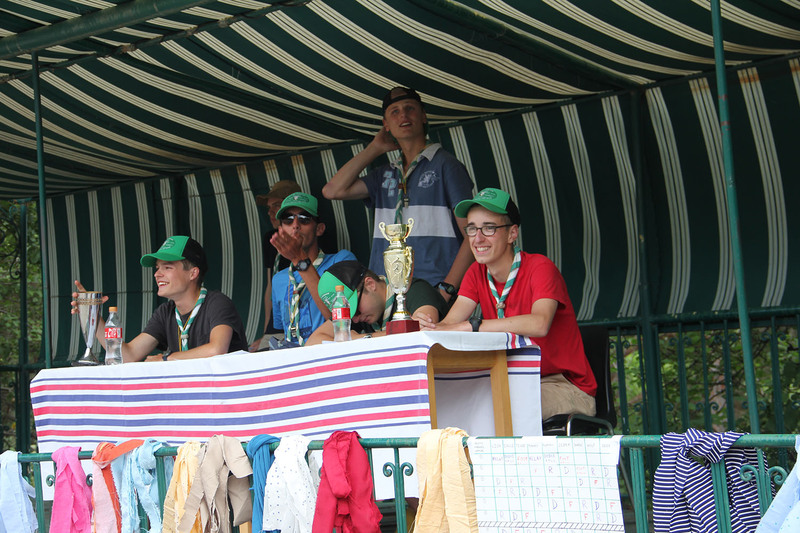 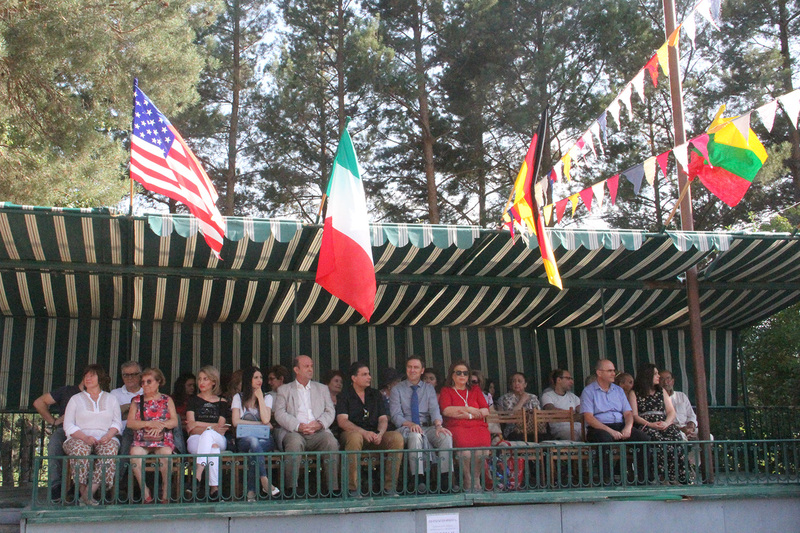 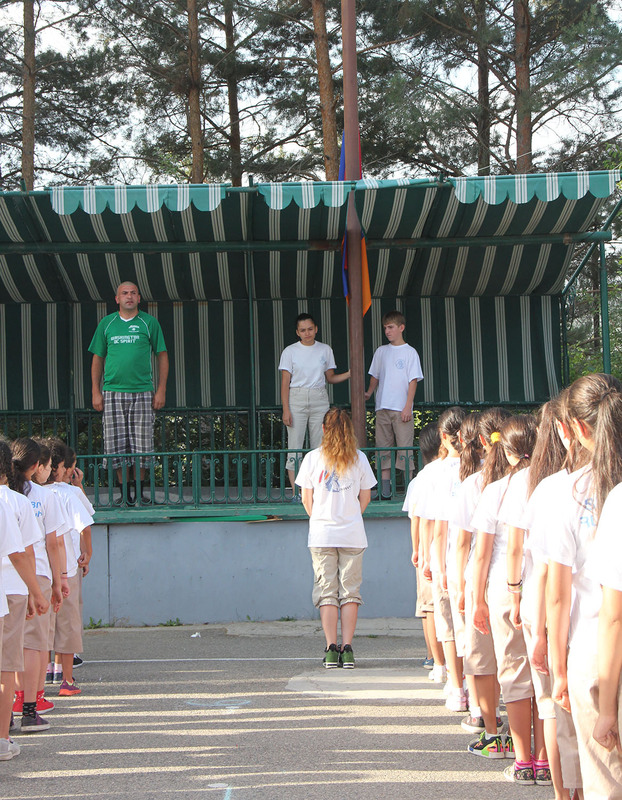 During the summer camps, the children welcome more than 60 foreign volunteers from different parts of the world. 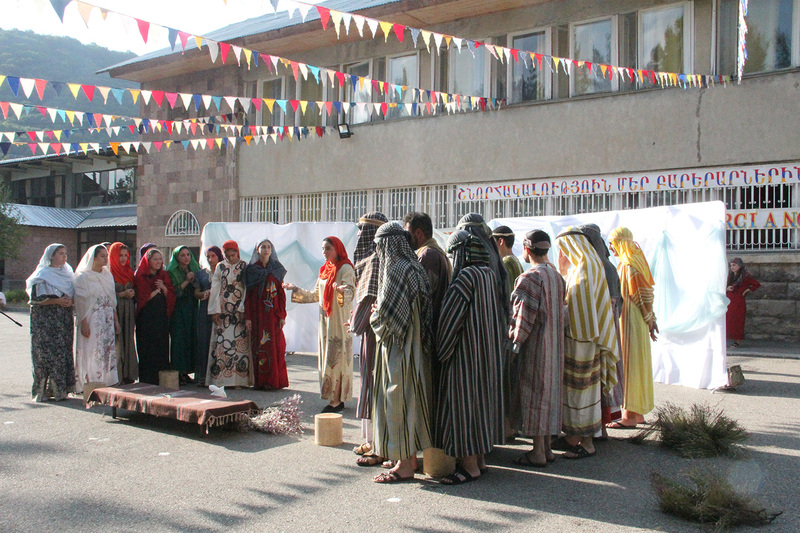 For more detail, please click COMMENT FAIRE DU BÉNÉVOLAT.